The Cob Cottage Museum is set out as an early settlers cottage. Built in 1860-1870, constructed out of clay, straw and tussock. The museum houses an extensive collection of domestic and other memorabilia from a bygone era. The former Waiau Presbyterian Church, located at the rear of the Cob Cottage, holds a permanent display of the Society’s Photographic Collection. From time to time the Society hosts a static display. These Exhibitions showcase the Society’s Collection. 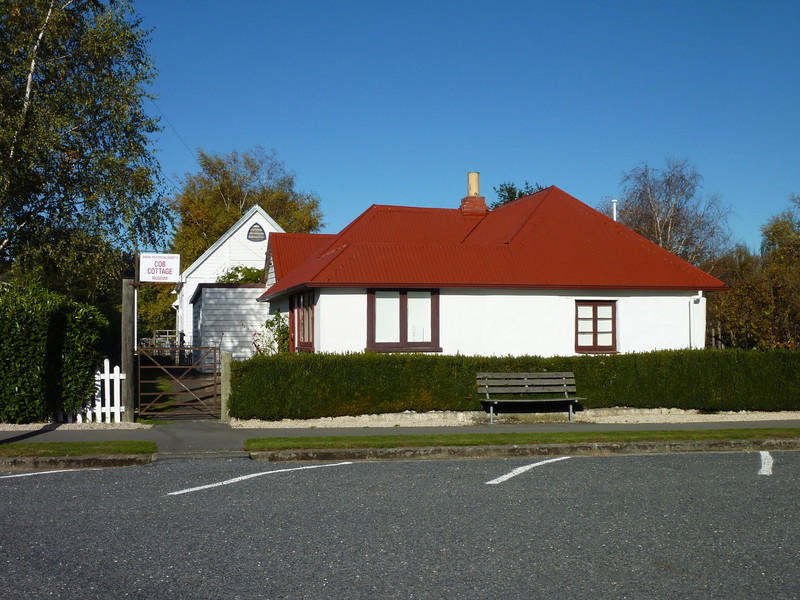 Both the Cob Cottage and the Former Waiau Presbyterian Church, have Historic Places Trust listing Category 11. The Amuri Historical Society also offers research assistance for Genealogy/Family History inquiries. The Society is staffed by volunteers who collectively hold many years of 'local knowledge'. These volunteers generously give their time and are happy to help you with local and family history research. See our Facebook site for additional information. Sundays - Summer 1.30pm to 3.30pm CLOSED from 30th May to 1st September Group visits encouraged with prior arrangement. Food & Refreshments available at local Hotel & Cafe/Dairy all within walking distance. Village Green has picnic tables and Public Toilet facilities. -42.655304 173.04025 16 Amuri Historical Society Inc.
"amuri rams rugby jersey" bedroom bedroom2 "cob cottage museum" gramaphone jersey kitchen "kitchen sink" memorabilia postcard rfc rugby "rugby jersey" sink stove "telephone switchboard" telephones "waiau post office" "waiau postcard" "waiau rfc" "waiau switchboard" "waiau township"